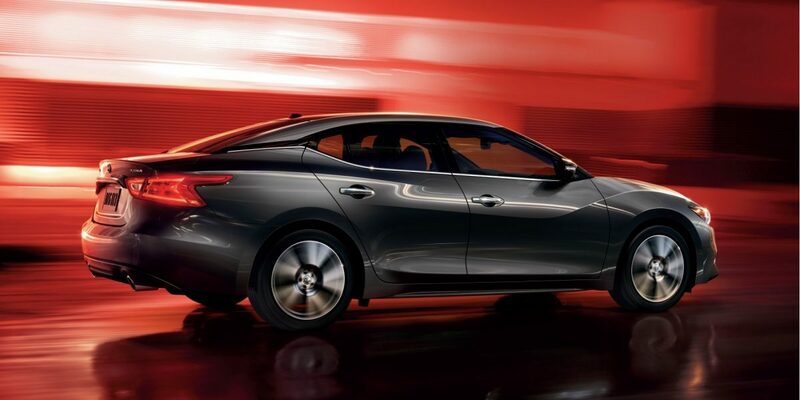 Lowered, sculpted and streamlined, Maxima achieves a sweeping aerodynamic profile that can only be described as stunning. 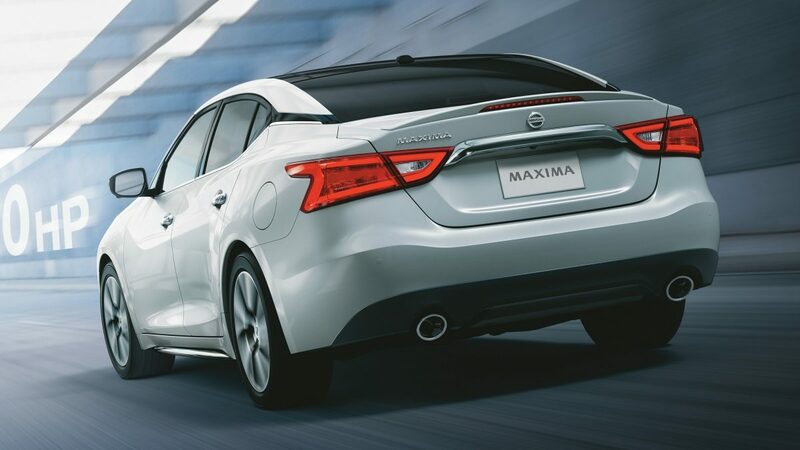 Watch as the light traces a path around its curvaceous fender, and it becomes clear – Maxima’s seductive shape is not just about cheating the wind, it’s about a love of form. 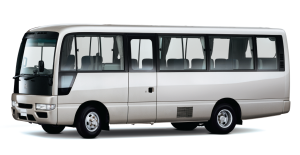 Notice how the A, B and C pillars meld seamlessly into the glasswork, so the roof appears to hover over the cabin. 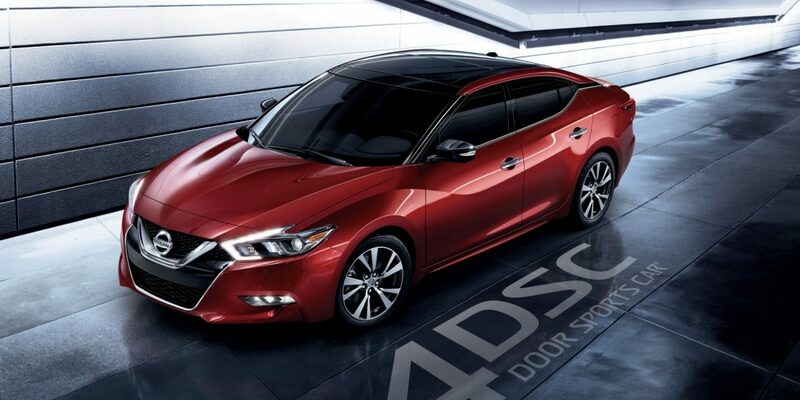 This unique “floating roof” appearance makes a dramatic visual statement that announces to the world this is no ordinary sedan. 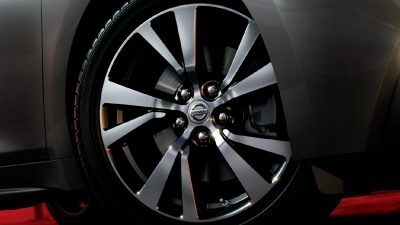 Maxima’s 18” aluminium-alloy wheels are aggressively styled, while the Maxima SR’s 19” aluminium-alloy wheels get their mirror-effect from a unique diamond-cut finish. 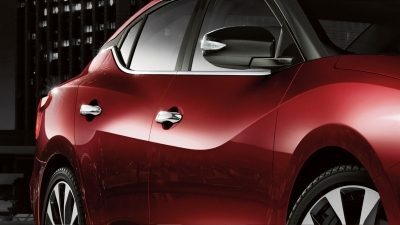 Up front, the boomerang-shaped headlamps feature a captivating LED signature line that stays illuminated at all times. 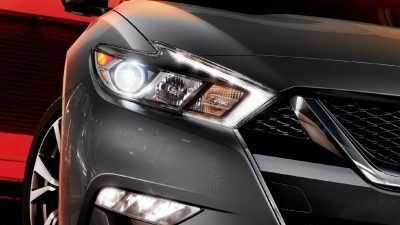 In back, LEDs also accent the wraparound taillights, while “4DSC” is embossed in the lamp housings both front and rear. 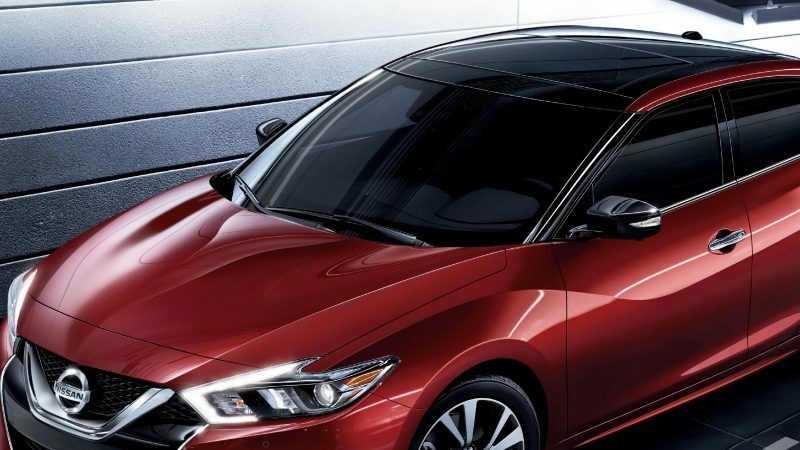 Maxima colours Coulis Red and Forged Bronze feature a new nano-pigment technology, which uses pigments that are ground 10 times finer than those found in traditional paints. The resulting finish is stunning, with an exceptionally deep, wet, lustrous look. 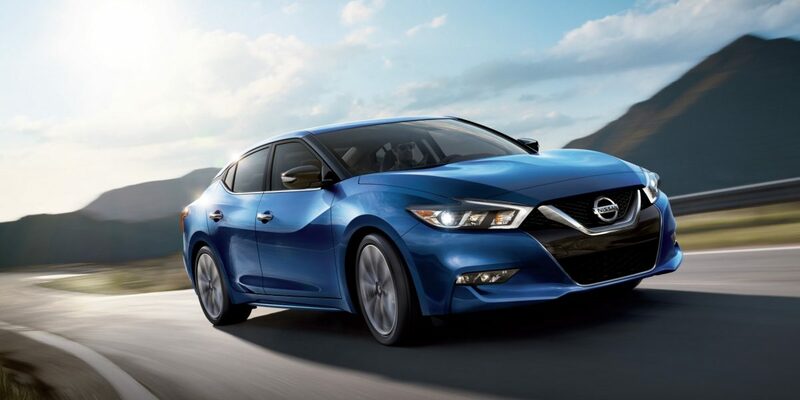 The seductive, sculpted shape of the all-new Maxima deserves nothing less than an equally stunning interior – and once you climb inside, you’ll instantly see that it doesn’t disappoint. 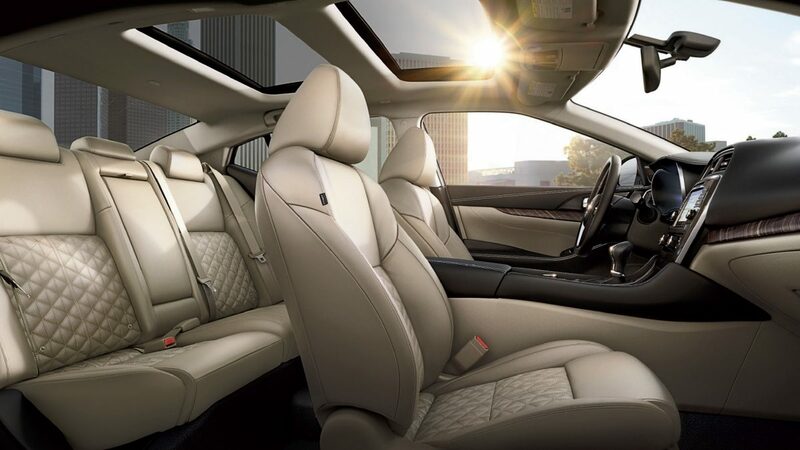 There’s no better way to describe it – the perfect execution of driving function with elegance and style. The quality of materials. The ideal placement of controls. 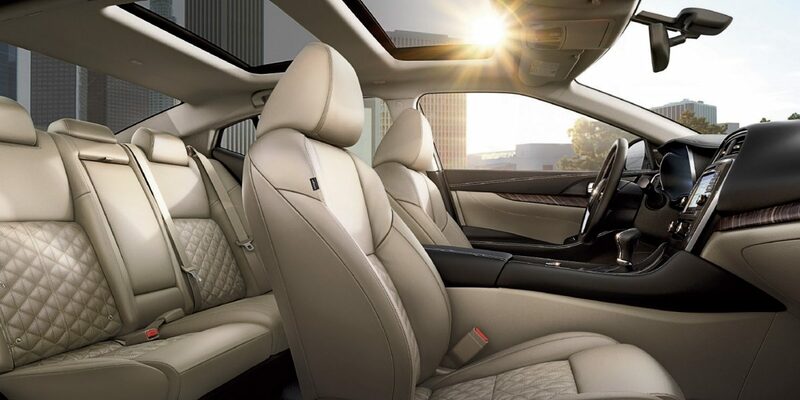 The long list of luxuries you expect, plus a few you hadn’t even thought of. 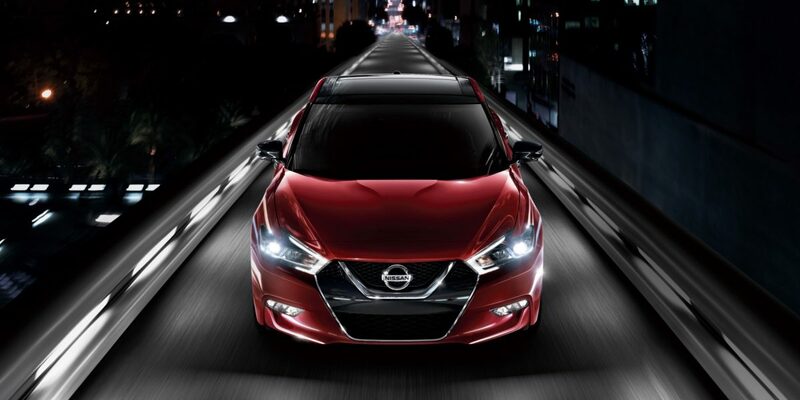 It’s clear that a great deal of time was spent, so that every moment in the new Maxima feels special. Wow, indeed. 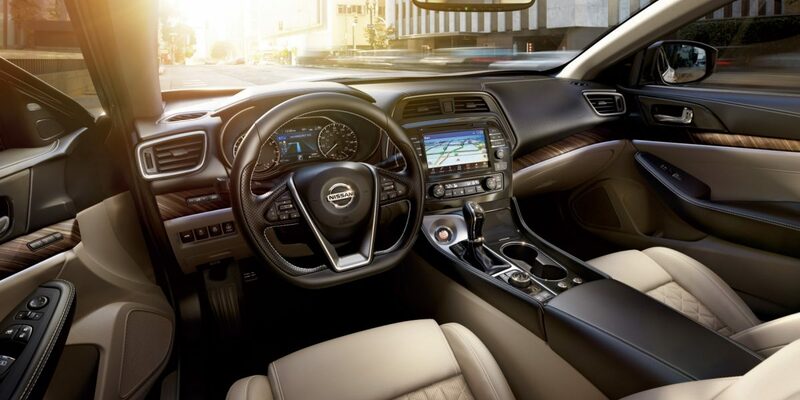 By placing key controls intuitively where you want them, Maxima connects you to your drive like no other. 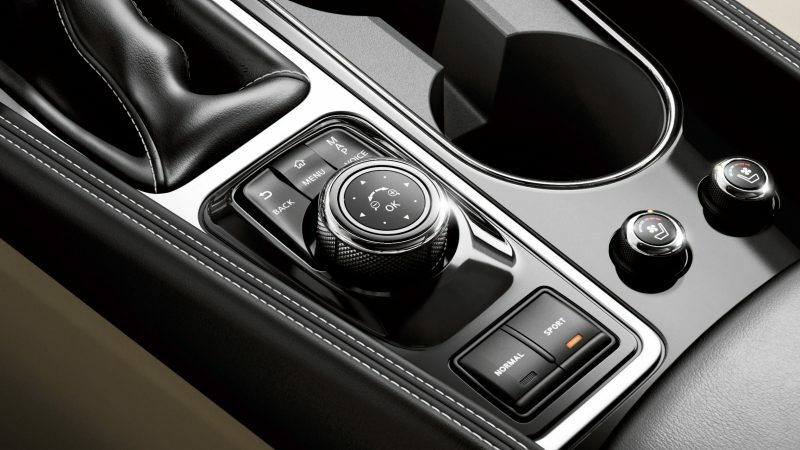 Rotating the center console 7° towards the driver gives you an easy reach to key controls. And no detail was overlooked. 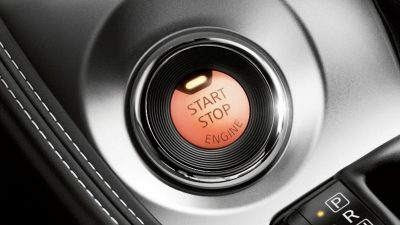 The ergonomically shaped shift lever, Display Commander dial and Sport Mode button are all grouped together and carefully placed to fall readily at hand, putting personalised performance exactly where you need it – right at your fingertips. 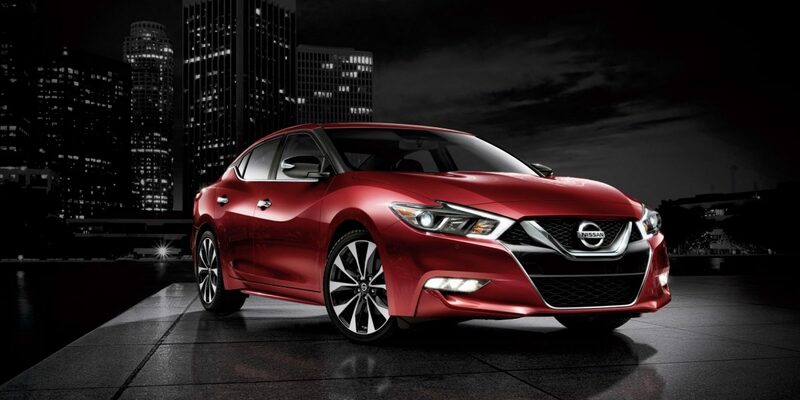 Standard on the all-new Maxima, the Display Commander is designed to intuitively control key functions through the 8” multi-touch screen. 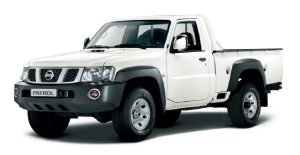 Positioned just behind the gearshift, it lets you toggle up and down, side-to-side, rotate, scroll through and control your infotainment system, all without the need to look down or touch the display screen. For those who have a mindset that goes beyond enthusiasm, passion or even exhilaration, welcome to your personal space. 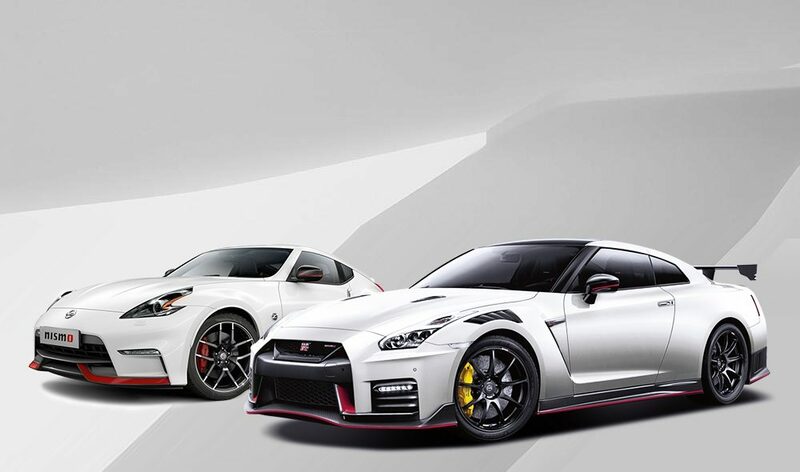 This is where driving becomes simply an expression of who you are. 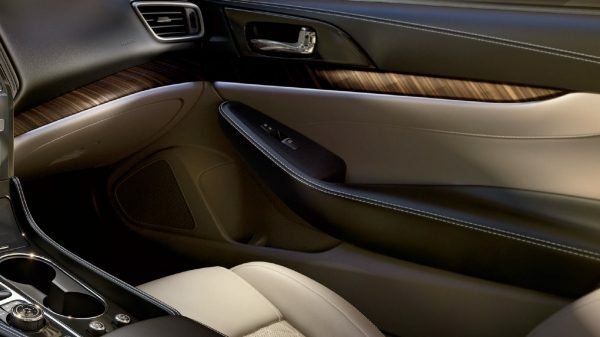 Inspired by the glow of the gauges in an aircraft’s cockpit, ambient lighting casts a warm, understated glow across Maxima’s cabin. 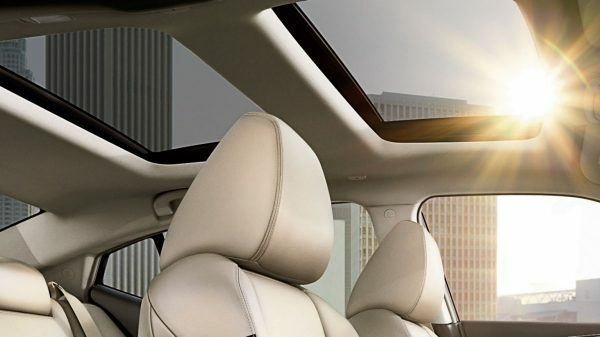 The available Dual Panel Panoramic Moonroof is simply massive – it reaches clear over the back seats, allowing co-pilots and navigators alike to enjoy an unfettered view of the sky above. 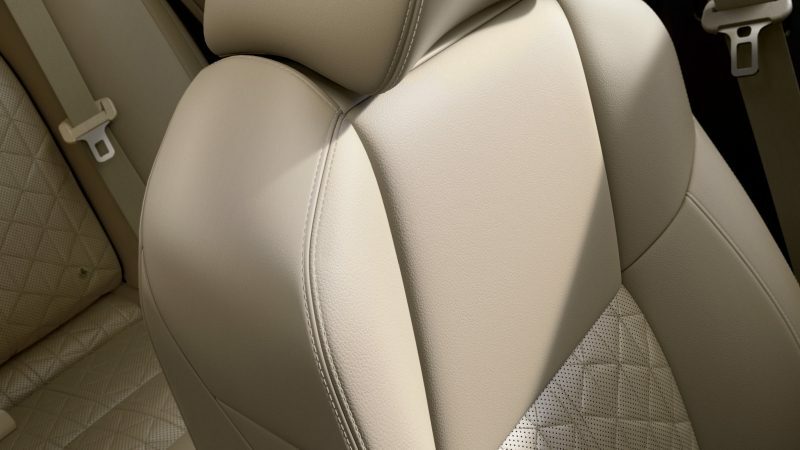 From the standard Push Button Ignition, to premium sport-styled seats featuring available diamond-quilted inserts outfitted in leather or luxurious Alcantara, you’ll notice that no detail has been overlooked.